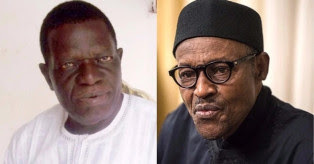 A former Chief Whip of the Senate, Roland Owie, has stated that President Muhammadu Buhari’s government is worst that those issuing quit notices and counter-notices across the country. Owie made the remark while citing the recent reorganization at the Nigeria National Petroleum Corporation, NNPC, which allegedly excluded people of the South East. The Peoples Democratic Party, PDP, Chieftain said people of the South-East have observed a “systemic plan to strangulate” Igbos by the Buhari’s administration, this he claimed is evident in recent appoints. “It is regrettable that we blame IPOB, Arewa youths or Niger Delta youths over threats capable of disintegrating the country but the series of appointments made by this administration even up till now have shown that the administration is worse than those issuing ultimatum to the Igbo. “We have observed a systematic plan to strangulate the South, particularly the South East in appointments, and it seems that this administration is not bothered at all which is sad. “I want to appeal to President Buhari to know that this country belongs to all the ethnic groups, he should not create problem for the North where he comes from because no matter how he sees it, he would not have become President without the support of other ethnic groups,” he told Sources. When this man was in d Senate, what did he do for his people?